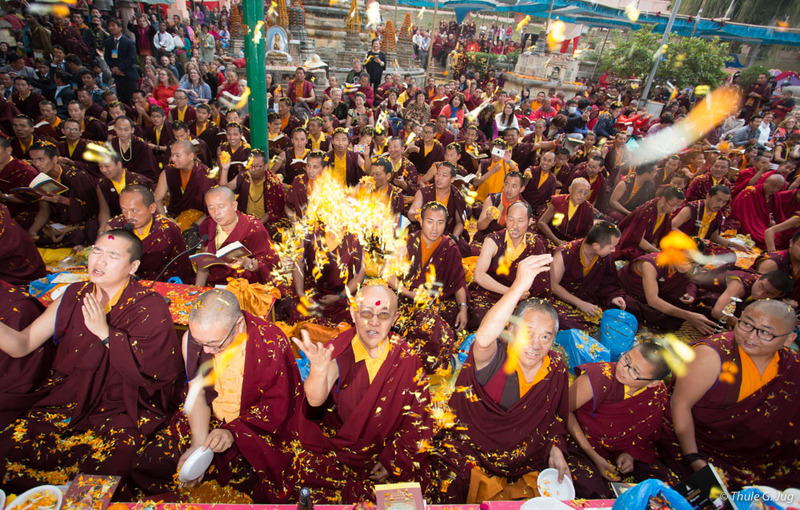 The annual gathering in December is one of the most significant events in the Kagyu calendar. 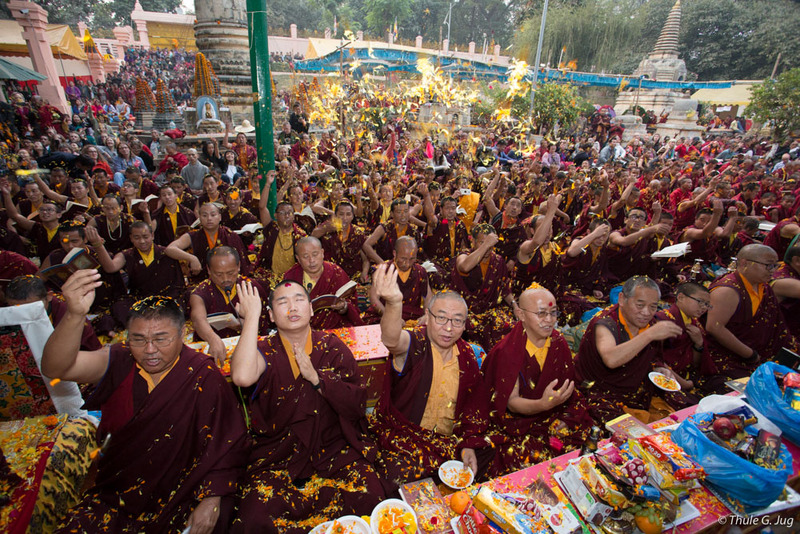 In fact, the tradition of ‘Monlam’ gatherings constitute an essential aspect of yearly festivities common to most traditions of Tibetan Buddhism. 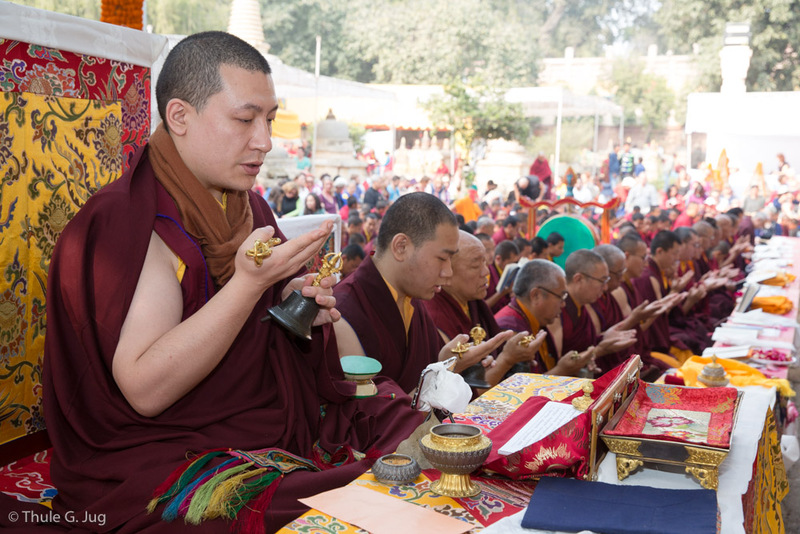 Under the guidance of Thaye Dorje, His Holiness the 17th Gyalwa Karmapa, every year thousands of monks, nuns, and lay practitioners come together to share aspiration prayers (Sanskr. 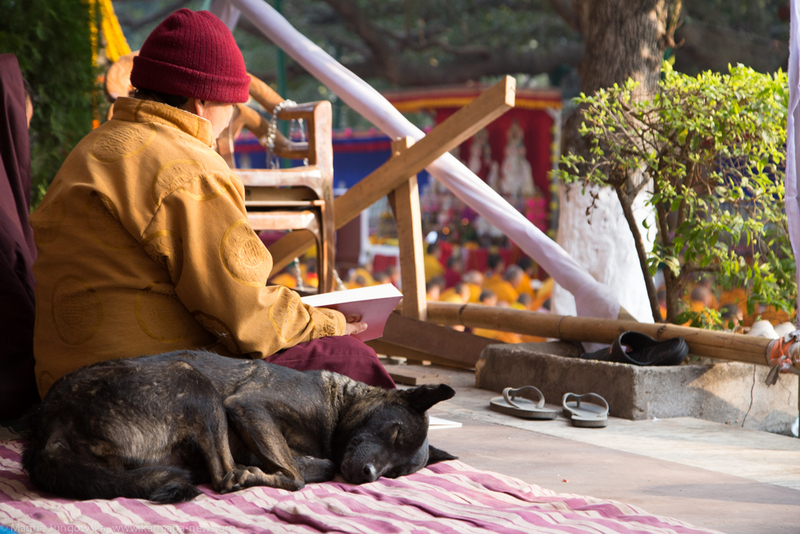 praṅidhāna; Tib. 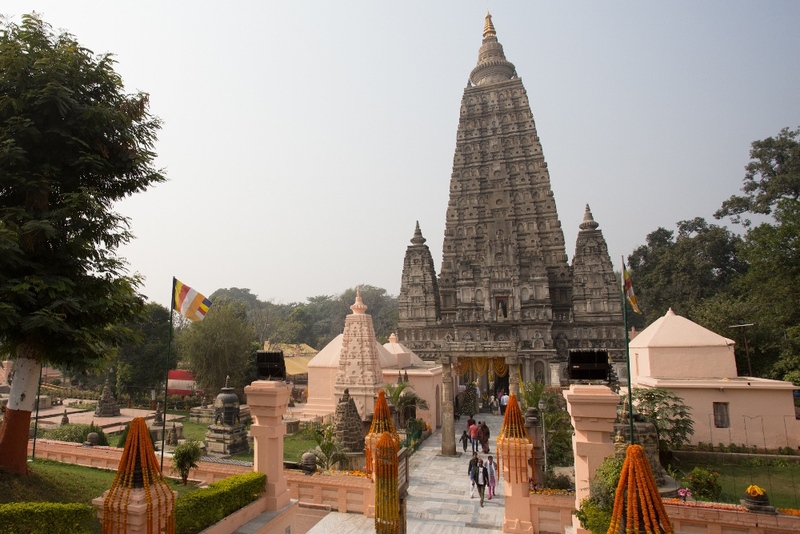 : smon lam) at the site of the Mahabodhi Temple in Bodhgaya. 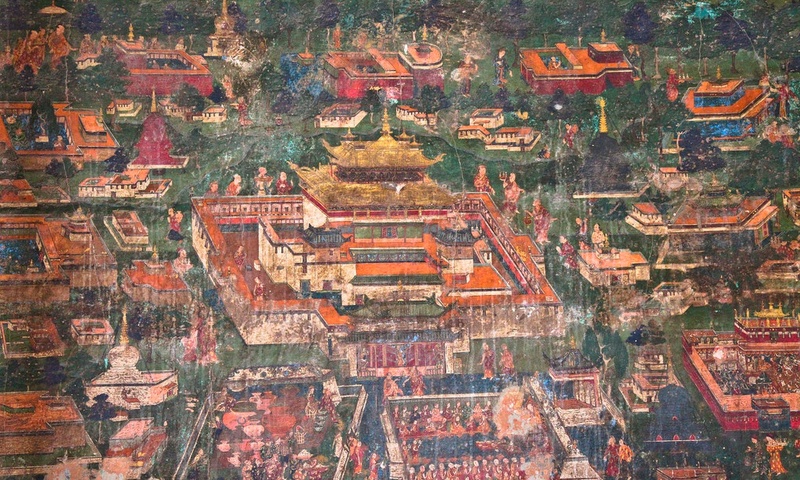 The Vajra Seat (Skt. 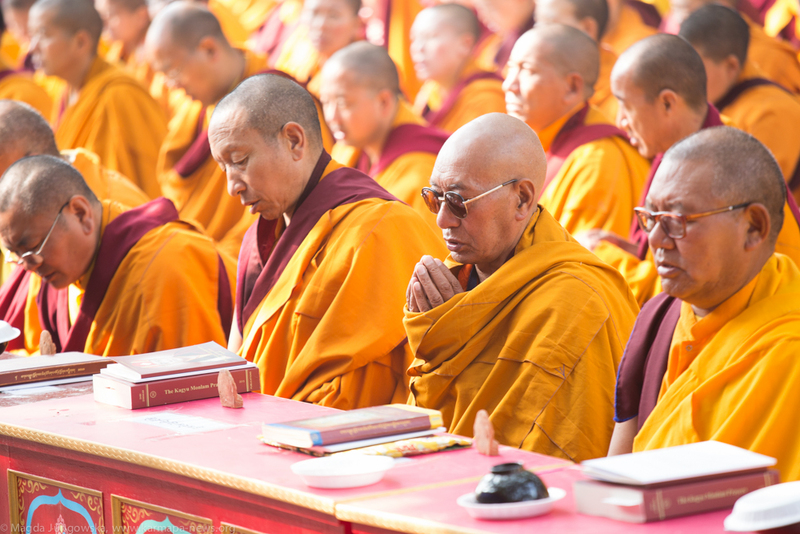 vajrāsana; Tib. 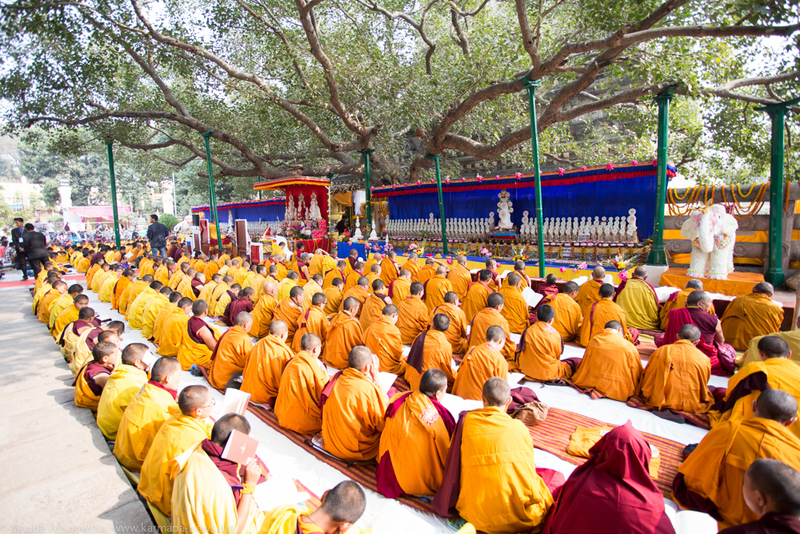 rdo rje gdan) beneath the Bodhi Tree in Bodhgaya is the very place where the historical Buddha Shakyamuni achieved enlightenment. 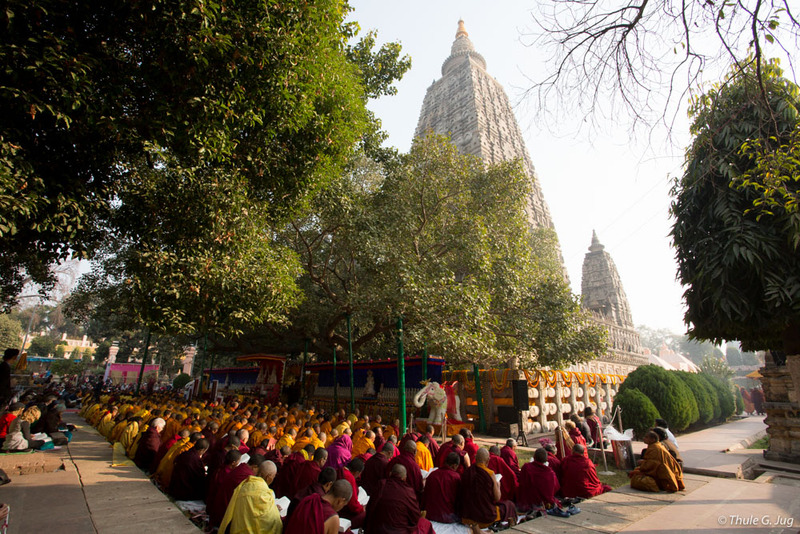 Located in a village in north eastern India, it is the main pilgrimage site for Buddhists of all traditions. 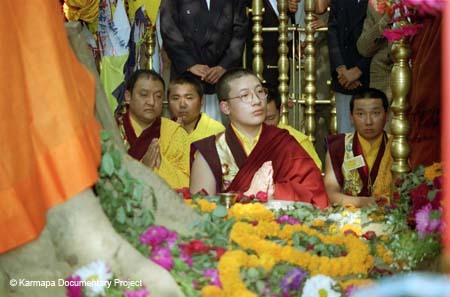 The first Karma Kagyu Monlam in India took place in Bodhgaya in December 1996 and was led by both the 14th Kunzig Shamarpa and the 17th Gyalwa Karmapa. 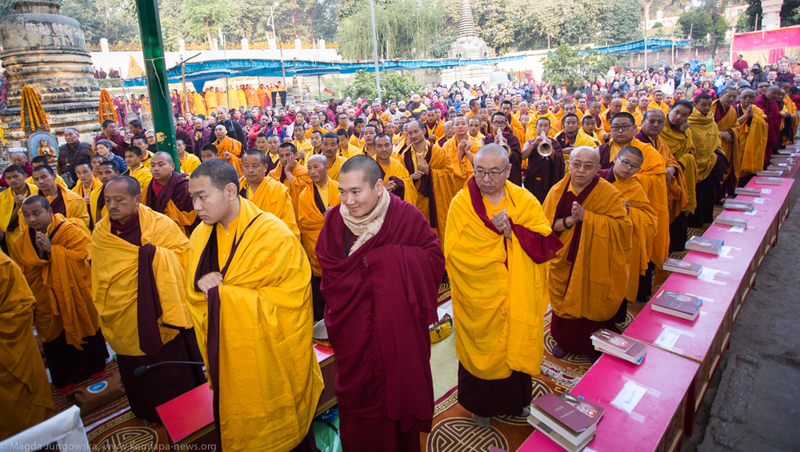 About 15,000 people attended the first Monlam, joining the young Karmapa on his first visit to Bodhgaya, where he received his official refuge-ordination. 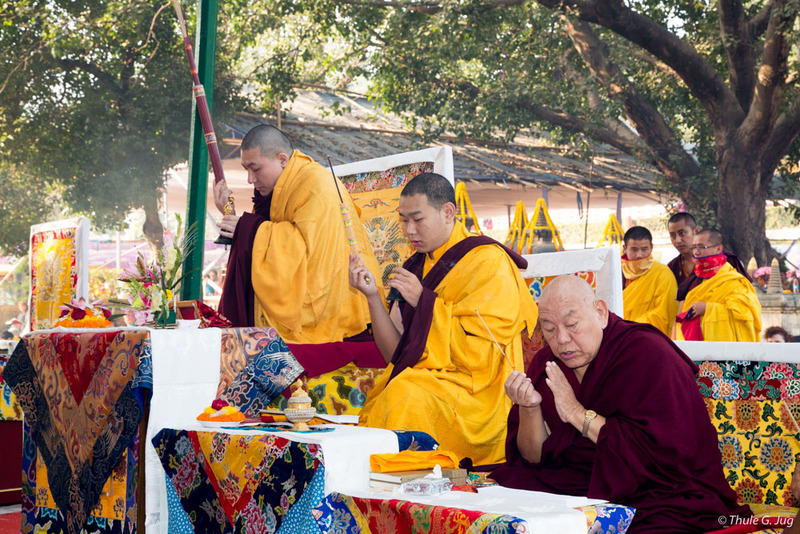 Since 1996, the ‘Kagyu Monlam Committee’ has organised this annual event. 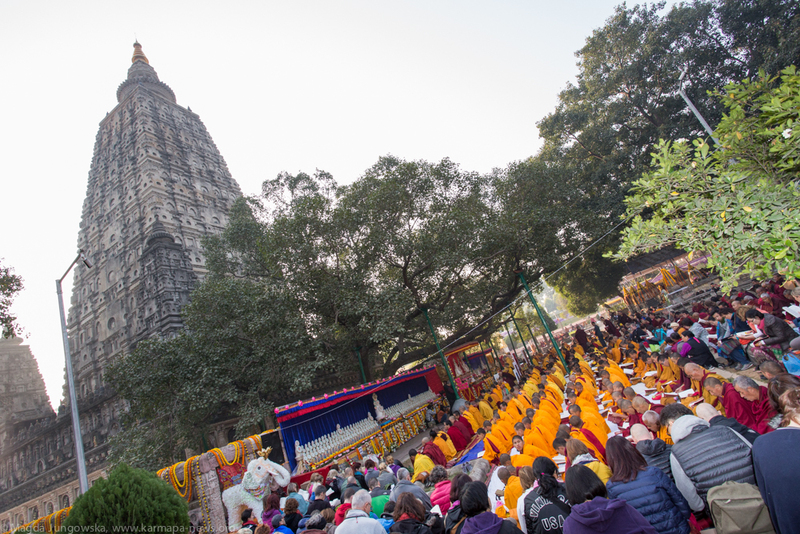 It is thanks to the devotion and steady commitment of its team that the ever growing number of participants at the Kagyu Monlam have always enjoyed a special time in Bodhgaya, where they can simply focus on spiritual practice. 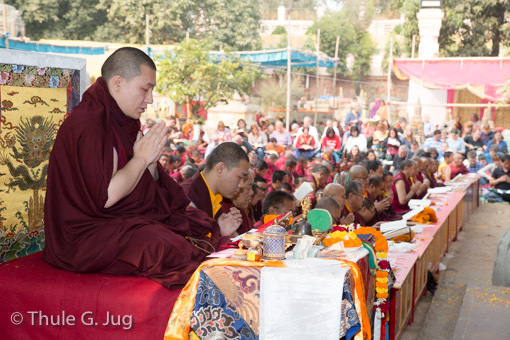 Karmapa has said many times that he greatly appreciates the enthusiasm, responsibility and hard work of the team’s members. 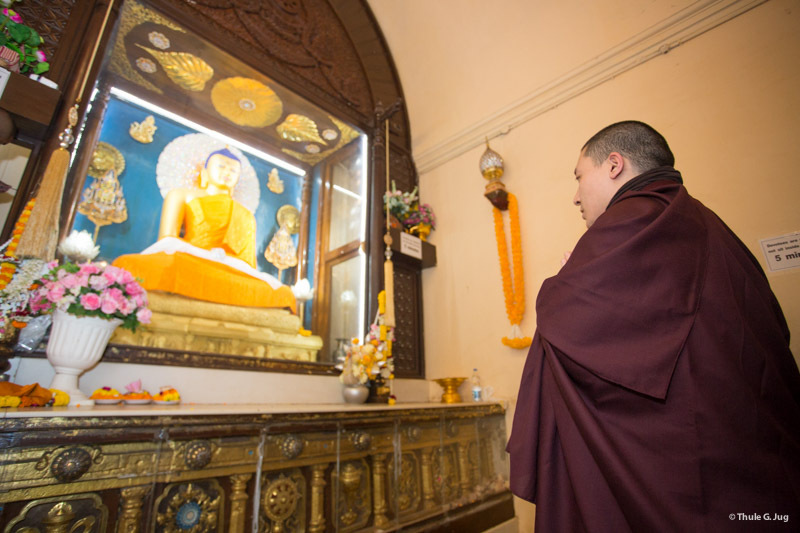 In 2016, the ‘Kagyu Monlam Committee’ has become part of the charitable trust ‘South Asia Buddhist Association’. 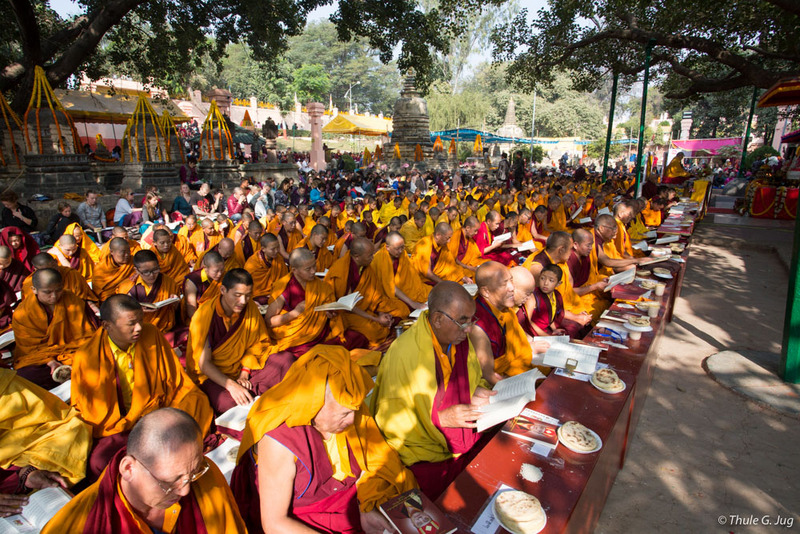 Therefore the ‘Kagyu Monlam Committee’ now organises the Kagyu Monlam under the umbrella of South Asia Buddhist Association. 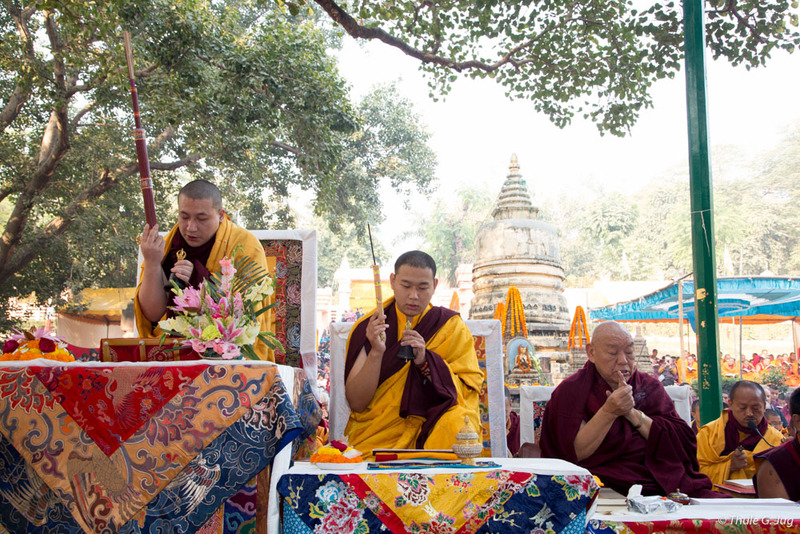 Great benefit is said to derive from gathering together at a most sacred place such as Bodhgaya in order to practice in the company of a most exceptional bodhisattva such as the Gyalwa Karmapa. 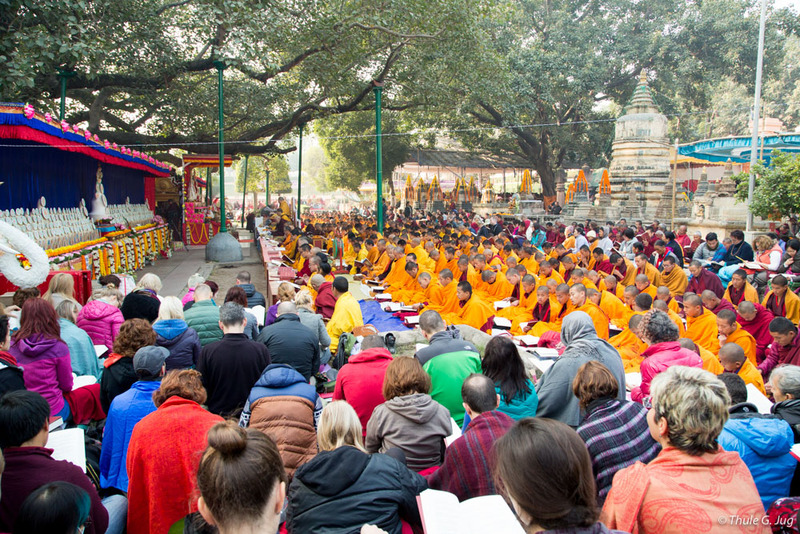 According to the Buddha’s teachings, the merit accrued through the spiritual practice of each single individual who joins in this noble aspirations and dedications and also focusses on his or her individual practice will — by virtue of sharing this outer environment and inner intention — be enjoyed by everyone present. 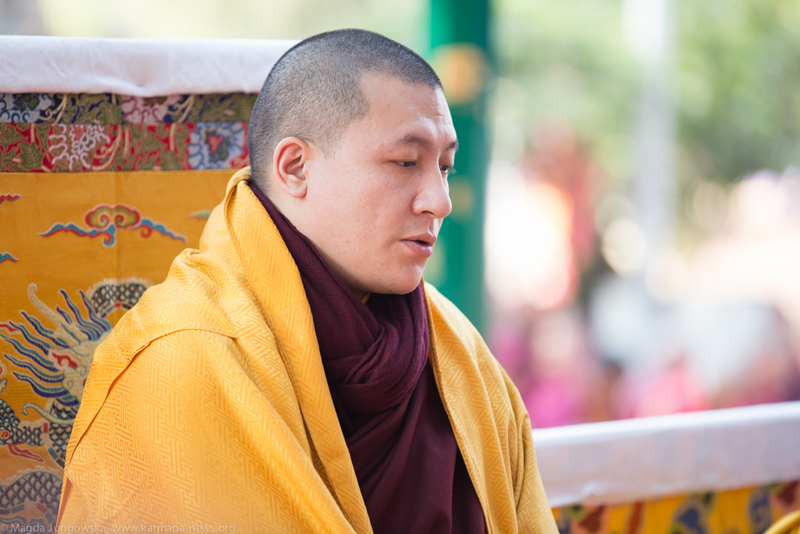 It is in this sense that merit is immensely multiplied. 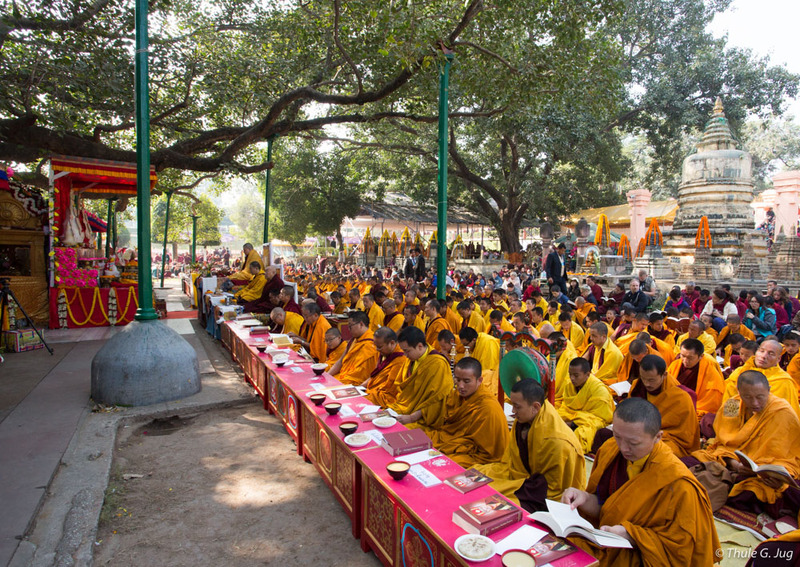 The first “Monlam” gathering in Tibet is said to have taken place already in the early period of Samye, the first Buddhist monastery in Central Tibet. 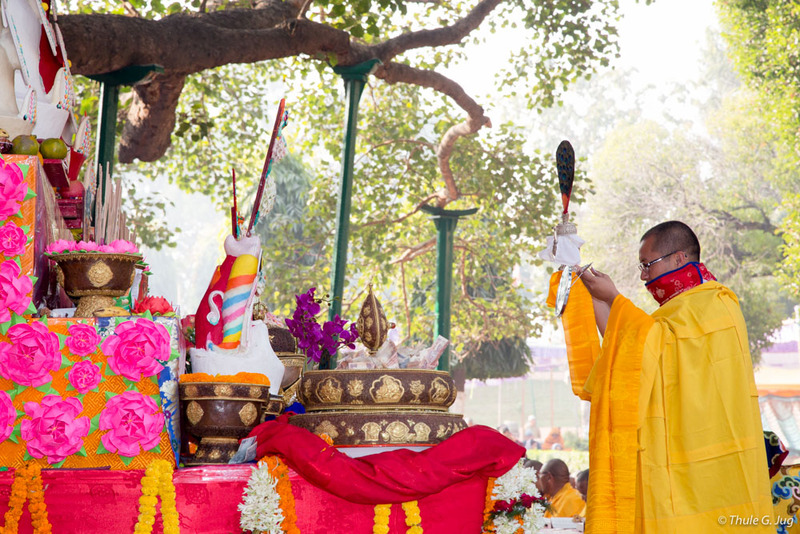 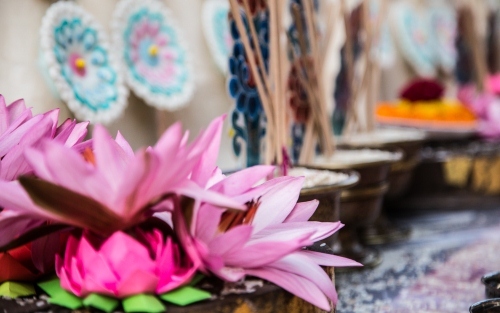 Read more about the History of the Tradition of Monlam.